My own primary interests follow two paths: Southern literature on the one hand, building off of my own roots as a native North Carolinian, and then crime fiction, a love that first began in my childhood (Nancy Drew! The Three Investigators!) and continues to this day. 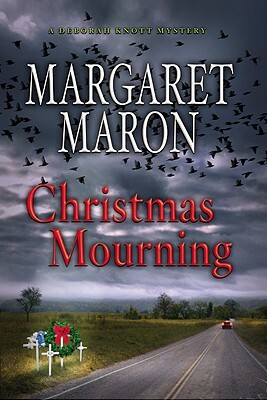 When an author’s work lies at the intersection of those two paths… well, that author is nearly destined to rank high among my favorites, and so it is with Margaret Maron, whose novels I’ve written about several times here on this site and elsewhere too. 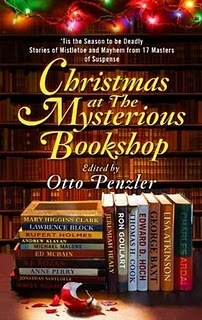 I’ve also recently been reading another set of holiday mysteries: Christmas at The Mysterious Bookshop, edited by Otto Penzler, proprietor of the bookshop itself. Each year since 1993, Penzler has commissioned an original story from one of the genre’s major writers, printed it as a small booklet, and offered it as a present of his own to customers of the store. The new anthology gathers the first 17 of these stories, beginning with a story by the late Donald E. Westlake (featuring his hard-luck criminal hero John Dortmunder) and closing with the 2009 offering, a contribution by Mary Higgins Clark. In between are quite a number of masters, including Edward D. Hoch, Lawrence Block, Ed McBain, S.J. Rozan and Anne Perry, among many others. Hearkening back to my opening sentence above, I particularly enjoyed the story “Christmas Spirit” by North Carolina-based author Michael Malone. Fans of Malone’s books Uncivil Seasons, Time’s Witness and First Lady will be pleased to see Chief-of-Police Cuddy Mangum in a light holiday diversion (and will appreciate Cuddy’s exchange with Penzler himself, a character in the story, who asks him, “Are you sure this place, North Carolina, exists?”).